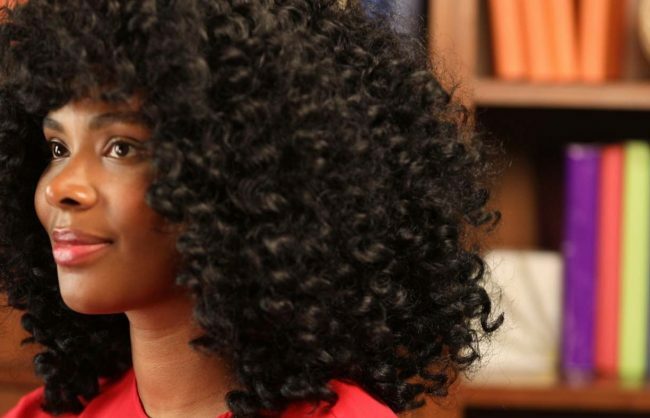 A byproduct of the mermaid hair trend, unicorn braids offer naturals a splashy, playful edge – sans bleach. 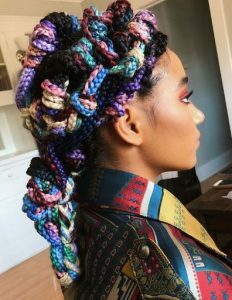 Kinks and curls are transformed with spools of colorful hair installed via the cornrow, three-strand and/or crochet method. Vivid variations of pinks, purples, blues and more are strategically applied for a prismatic punch of enviably fearless style! As great as this look maybe for some, not everyone is craving a taste of the rainbow. We’re here to change that! Indulge in your options with these eye-catching (and opening) selections. 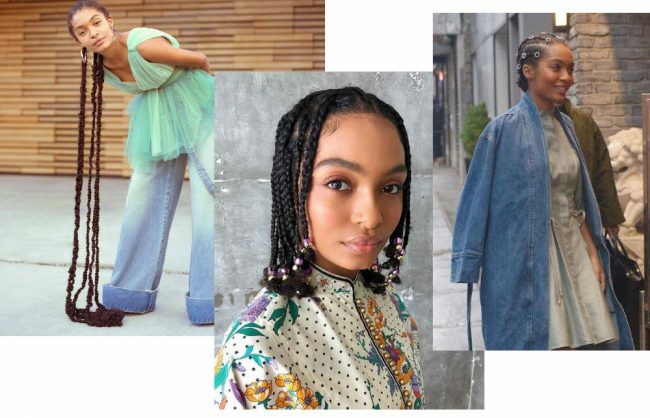 While unicorn braids have been a go-to for a few in the past couple years, Alicia Keys took the indie fav centerstage with the Elle Brasil’s September 2017 issue that featured not just one cover, but four! Opting for simple pulled back looks, Keys demanded the camera with a sunburst pairing of coral and fuschia. A dramatic turn from the mousey browns we’ve come to expect, the look was met with much fanfare and ushered in a cry for confidence, self-expression, and acceptance. In her own words, Alicia explains overcoming her personal struggles with learning to stand apart from the crowd via the AK blog. To this day, every time I get out of the shower to get dressed, I swear the first thought that comes into my head is, what can I wear that won’t cause too much attention when I go pick up Egy, or head to the store, or go shopping, or visit a friend, etc. And just the other day it hit me! OMG! Alicia!!! Why are you choosing to be that person?? That is so old and outdated!! STOP!! I don’t have to try to go unnoticed. I don’t have to fit in. I don’t have to close up my thoughts and only speak my truth through songs! Color: Easing In or a Full Embrace? 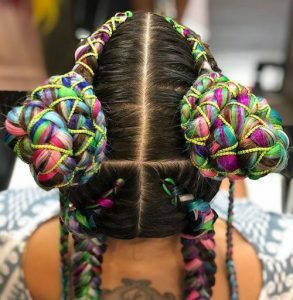 Easy does it: If you find yourself flirting with the idea of unicorn braids but just can’t find yourself wearing a full-on rainbow on your head, no foul. With the right strategy, anything is attainable. 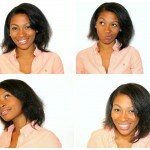 Here are three subtle approaches to consider 1) Go shorter – opt for a trendy braided bob (or lob). Play with blunt ends for a choppy look or go traditional with a slight bump. Bottom line, less hair is less color. 2) Incorporate ombres for a more uniformed ‘do. Keep it minimal with light and dark shades of one color or tie in different colors from top to bottom. 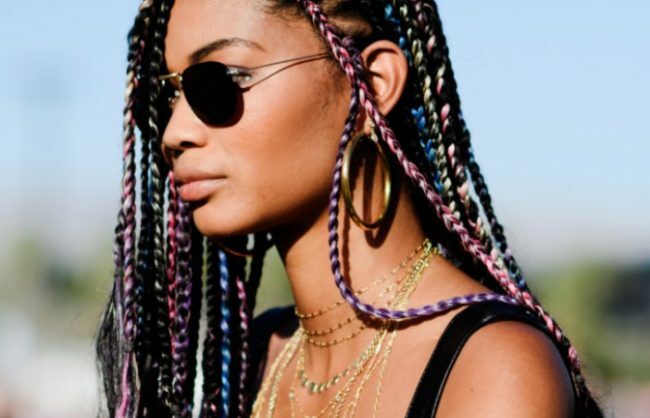 3)Braid in minimal splashes of colored hair for a pop effect rather than an overhaul of color. See Chanel Iman at Coachella, top left. 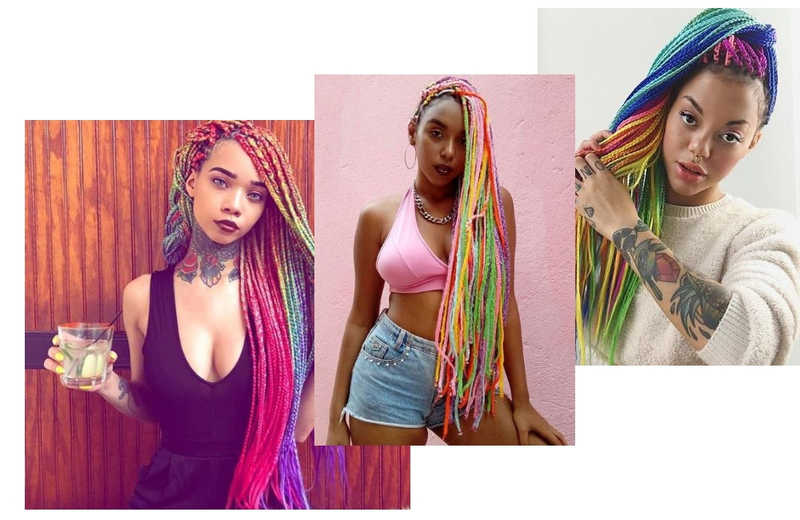 Go wild with color: Not for the soft-spoken, unicorn braids in its full glory are a pendant of freedom for the statement makers, rule breakers and those ready to step away from the usual. Fly away with ruby reds, canary yellows and aquamarine blues for an exotic feel. Or ease your appetite for a confectionary delight of cotton candy pinks, purples, and blues. Or maybe, just take full pride in your color game with a full array of colors. No matter your preference, take your love for pastel cools or jeweled hues high voltage, no apologies. … Most Importantly, Have fun! 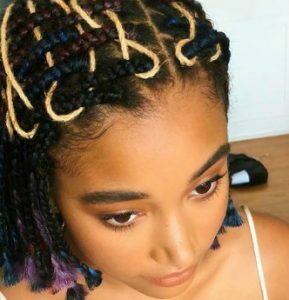 Famed Brooklyn based, hairstylist and creator of thoseeeee Lemonade braids, Susan Oluele puts a unique spin on the unicorn trend with a beaded bang and face-framing layers. Color of choice? A fun, Nickelodeon-esque palette of lavenders, yellows, blues and pinks. 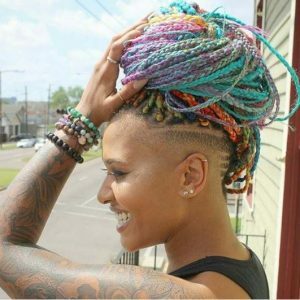 Bold color can be taken to new heights with edgy undercuts, fun braided styles, and hair-raising volume. Even if it’s for a month or a costume party be free in your imagination and its possibilities. 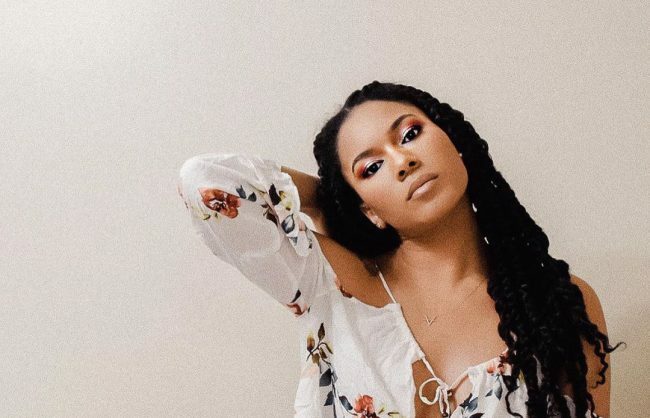 YouTube vlogger Nickeil Genesis answers all your DIY questions from how to braid with low tension to how many packs of hair to buy!